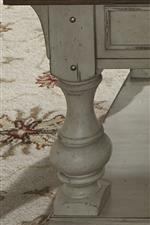 Add a classically aged feel to your living room with this relaxed vintage sofa table. The two front drawer and bottom storage shelf give your the ideal space to store your favorite novels or set your most precious photographs. 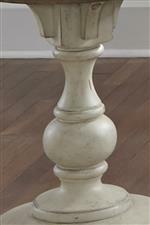 Touches of extra style added by pewter nail head corner accents and corbel accents complete the lived in, yet still elegant feel of the piece. The warm feel of this table will complete the atmosphere you have worked so hard to create in your living room. The Morgan Creek Relaxed Vintage Sofa Table with Bottom Storage Shelf by Liberty Furniture at Miskelly Furniture in the Jackson, Pearl, Madison, Ridgeland, Flowood Mississippi area. Product availability may vary. Contact us for the most current availability on this product. 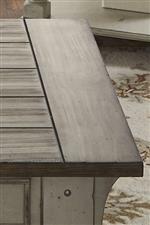 Description: Top Planked wood tops with a medium brown finish, perfect for setting drinks or decorations on. Vintage feel meets classic style in this collection. Whether you are looking to finish off the cozy cottage look of your living room, or want your entertainment setup to match the warm feel of the rest of your home, you will find exactly the piece you've been looking for. 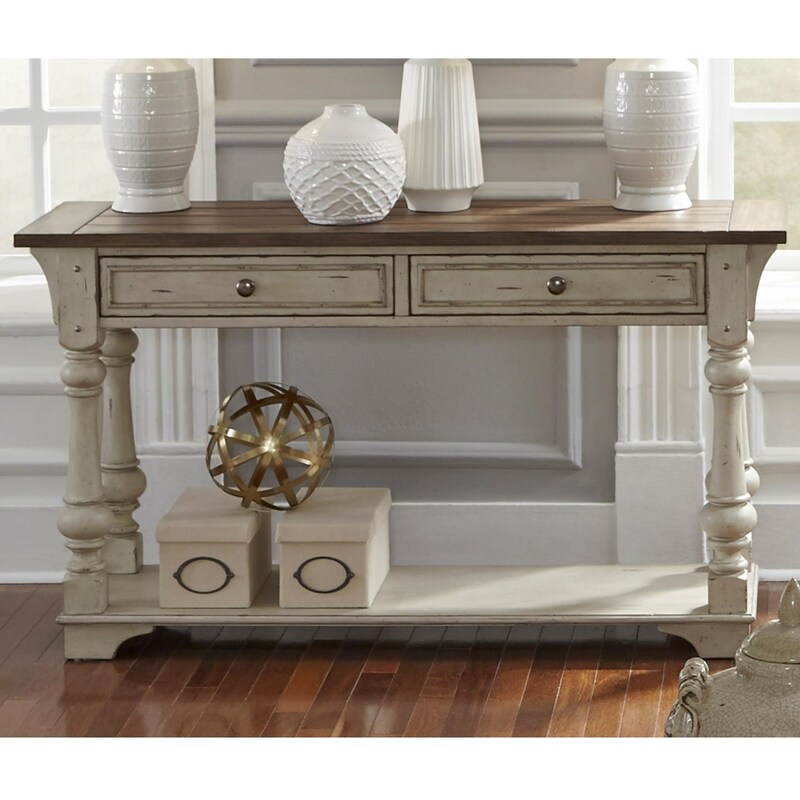 Corbel accents, pewter nail head corner accents, turned legs, an antique white finish and wire brushed tobacco accents combine to create the signature look of this collection. 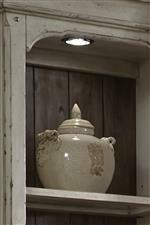 The Morgan Creek collection is a great option if you are looking for Relaxed Vintage Traditional Cottage furniture in the Jackson, Pearl, Madison, Ridgeland, Flowood Mississippi area. 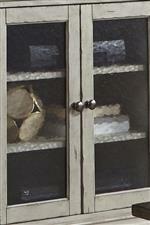 Browse other items in the Morgan Creek collection from Miskelly Furniture in the Jackson, Pearl, Madison, Ridgeland, Flowood Mississippi area.